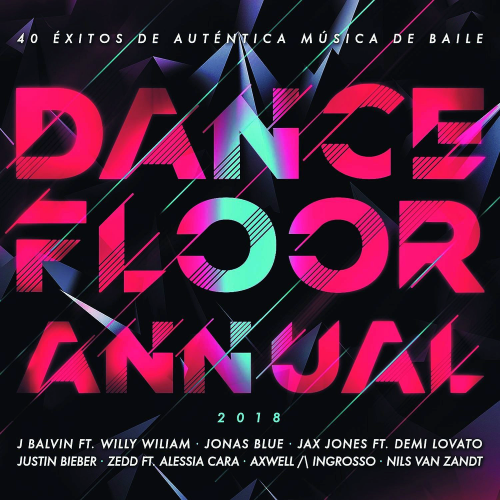 Date: 26.02.2018 | House, Dance, Reggae, RnB, Pop, HipHop | Tags: Dancefloor Annual, Universal Music Spain, Jax Jones, Dj Snake, Nils Van Zandt, Josue Gomez, Gerox And Lobo, Nick Jonas, Maartin Rubik | Download Dancefloor Annual (2018) for free. Universal Music Spain and Clippers Sounds present the star compilation for this season: Dancefloor Annual 2018, an album that includes 40 hits of authentic dance music. Songs that conquer the first positions in the lists of all the planet, the subjects that sound more in the transmitters, the future successes. All that and much more is Dancefloor Annual 2018. All the tendencies of the sort represented by artists as popular as J Balvin, Justin Bieber, Zedd, Jonas Blue, Maroon 5, DJ Snake and many more. We are proud to represent some of the world's most talented and reputable composers: from those whose music has defined the sound of a generation to the brightest emerging talents.